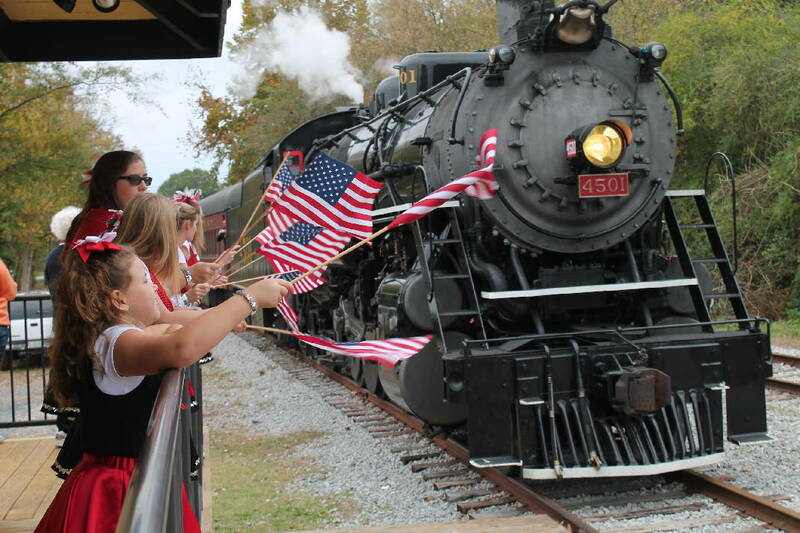 A highlight of Summerville, Georgia's patriotic party is the arrival of the Tennessee Valley Railroad Museum's passenger train and the turning of its engine on the Summerville turntable. Summerville, Georgia tops the just-released list of SafeWise's 50 Safest Cities in Georgia for 2018, according to a news release. The Chattooga County city, with a U.S. Census-recorded population of 4,442, had a violent crime rate of 0.23 per 1,000 people, based on a review of 2016 FBI crime report statistics by the home security website. "The police force of Georgia's safest city, Summerville, deserves a round of applause," a Safewise reporter wrote. "With only one violent crime and forty-one property crimes in 2016, they've clearly demonstrated their commitment to public safety." Property crimes per 1,000 people in Summerville occurred at a 9.23 rate that year, and total crime in the city was 97.56 percent property crime and 2.44 percent violent crime, according to the review. Other Northwest Georgia cities noted in the 50 Safest Cities rankings were Woodstock (Cherokee County) at number 11, Chatsworth (Murray County) at number 17, LaFayette (Walker County) at number 44 and Calhoun (Gordon County) at number 48.